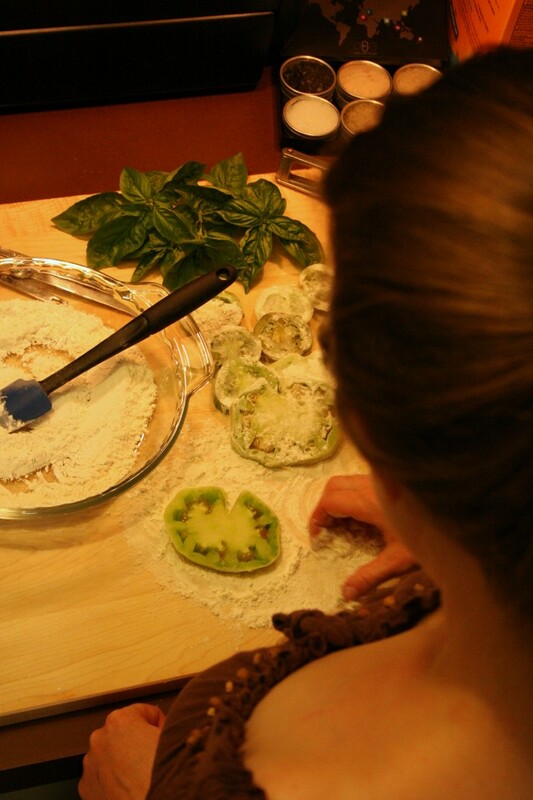 I love fried green tomatoes and I love creating unique pizzas. So I decided to give this a try. I have plenty of green tomatoes and basil in the garden right now. I made a beer batter to fry the slices of green tomatoes in. I selected one large and two small green tomatoes, sliced them into rounds about about 1/2″ thick. I lightly dusted them in flour and dredged them well in the beer batter. I used Dogfish Head 60 Minute IPA for the beer and I thought it worked well. 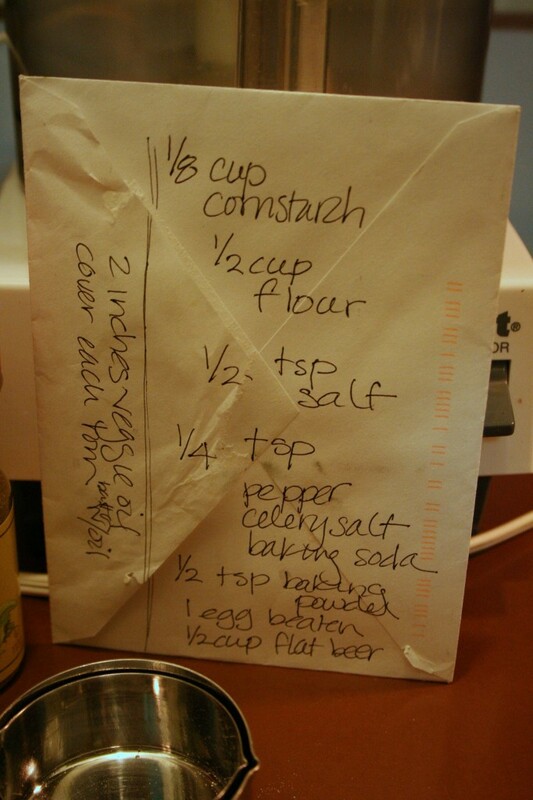 I don’t like to use just any beer, if I don’t enjoy drinking it, I won’t cook with it either. Before frying up the beer battered tomato slices, I chopped up about a 1/3 cup of pancetta and fried it in an iron skillet. Once the pancetta was lightly browned I removed it, added about 1 inche of canola oil and heated it up. 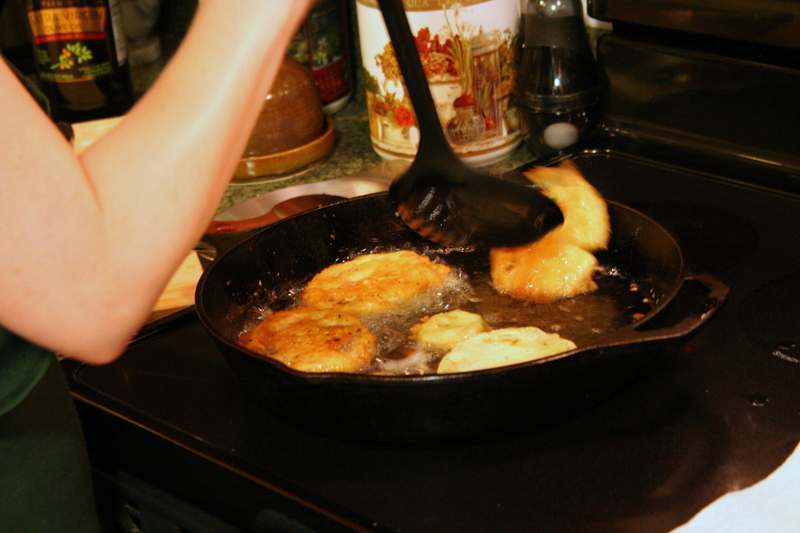 When the oil was heated I started adding the battered green tomato rounds, in batches careful not to overcrowd the pan. They brown up relatively quickly, after about 2-3 minutes carefully flip the slices and continue to fry for 2-3 for minutes. Once they are done, drain them on paper towel to cool and remove excess oil. 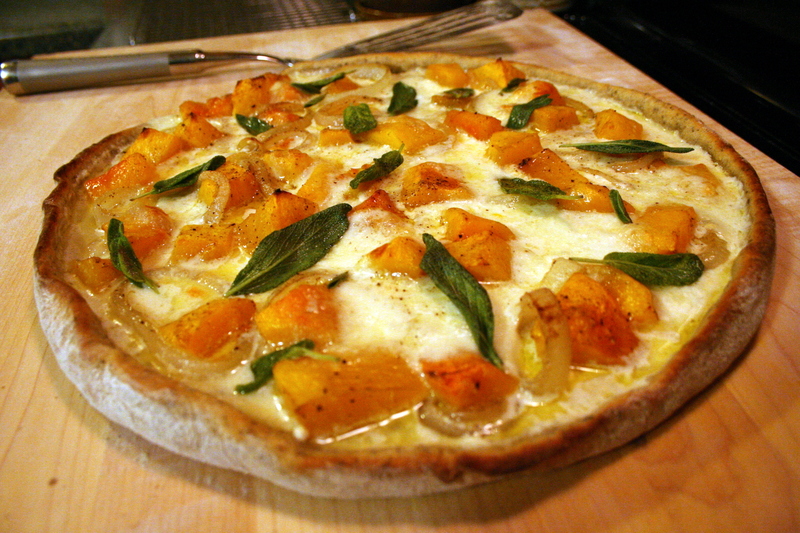 Roll the pizza dough out, I used Trader Joe’s dough to save time. I made a quick sauce of extra virgin olive oil, crushed garlic and torn fresh basil leaves, mixed well in a flavor shaker. 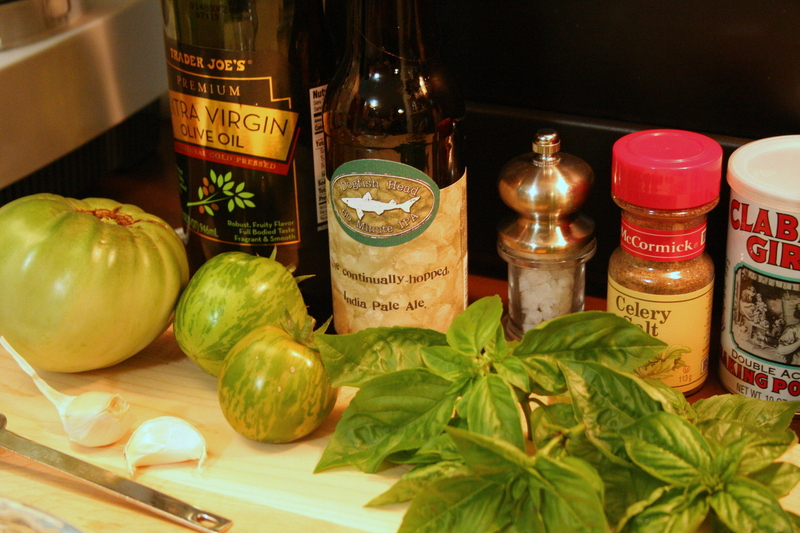 Brush the pizza with this mixture and then lay the beer batter fried rounds of green tomato on the pizza. Spread the pancetta pieces all around and a bunch of fresh basil leaves. 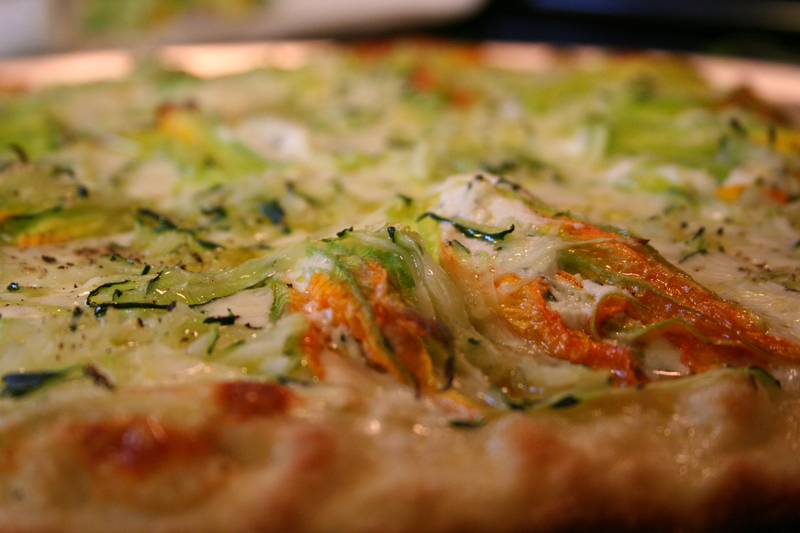 I then added several slices of asiago and marinated mozzerella and shredded parmesan cheeses. 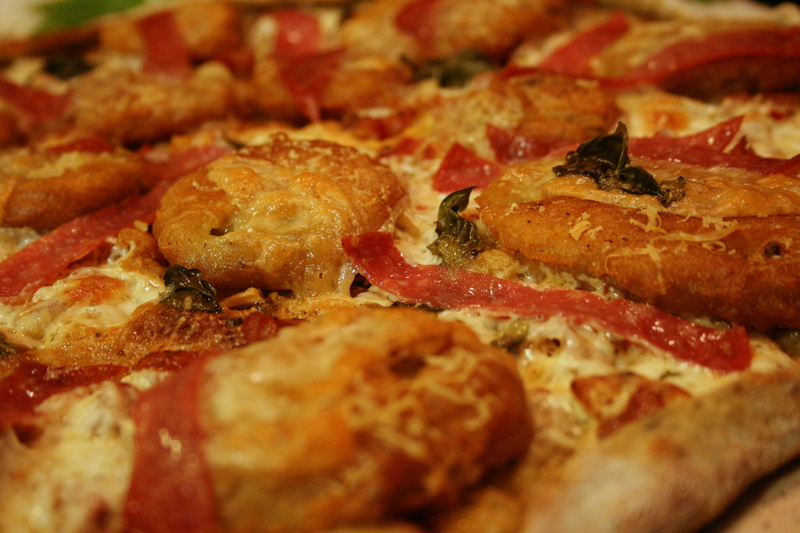 I followed up with strips of Capocolla ham and a final light drizzle of extra virgin olive oil all over the pizza. 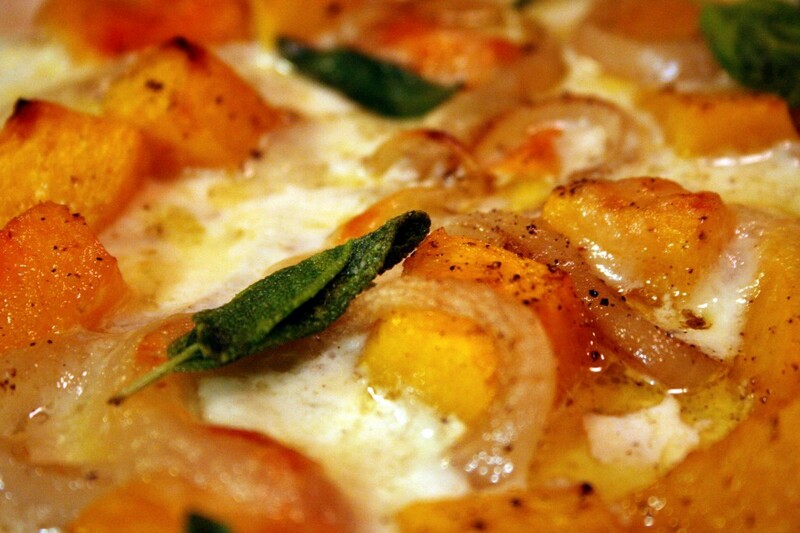 We place the pizza on a preheated pizza stone on the grill and let it go for a good 10 minutes. 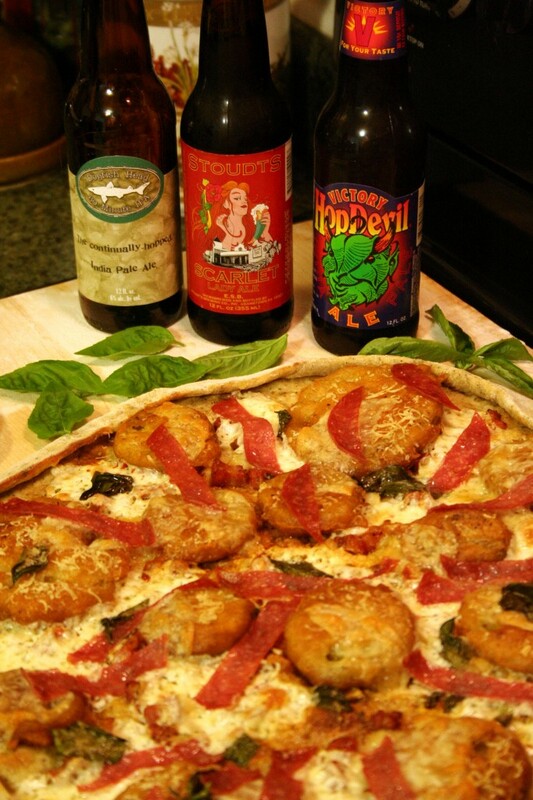 This pizza paired well with Dogfish Head 60 Minute IPA, Victory HopDevil Ale and Stoudt’s Scarlet Lady Ale. My favorite pizza now has a name, “Rachel’s Pizza”. A summery favorite of squash blossoms stuffed with ricotta cheese seasoned with fresh basil. 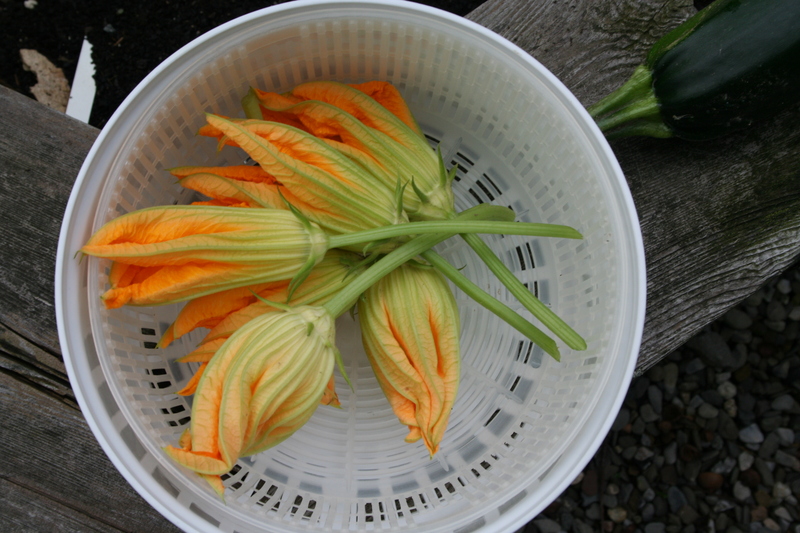 A simple sauce of crushed garlic and olive oil, marinated mozzarella slices and plump stuffed squash blossoms.